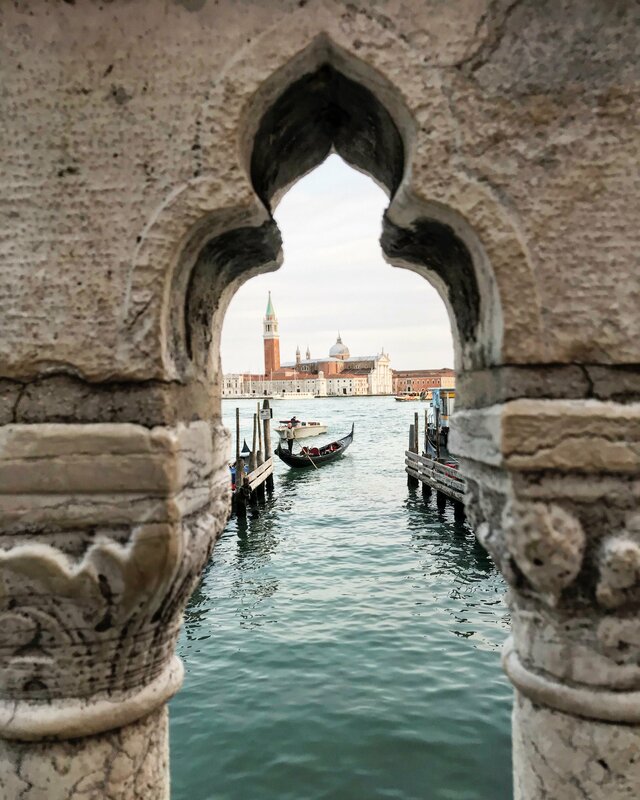 Venice is a mesmerizing city in the north of Italy and each corner represents a great photo opportunity. 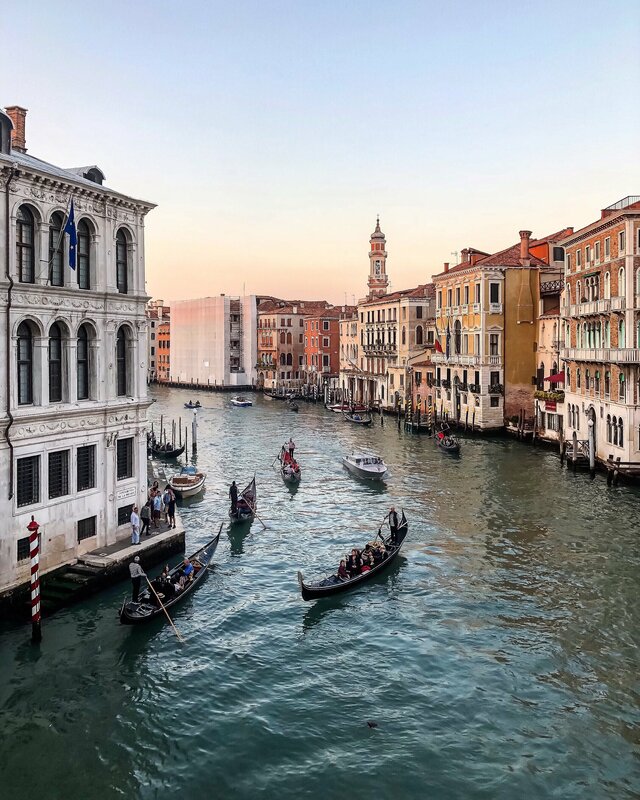 Anyway, among old canals, cobblestoned paths, church domes and bridges, there are some unmissable locations that you will love to be sure to visit or see. 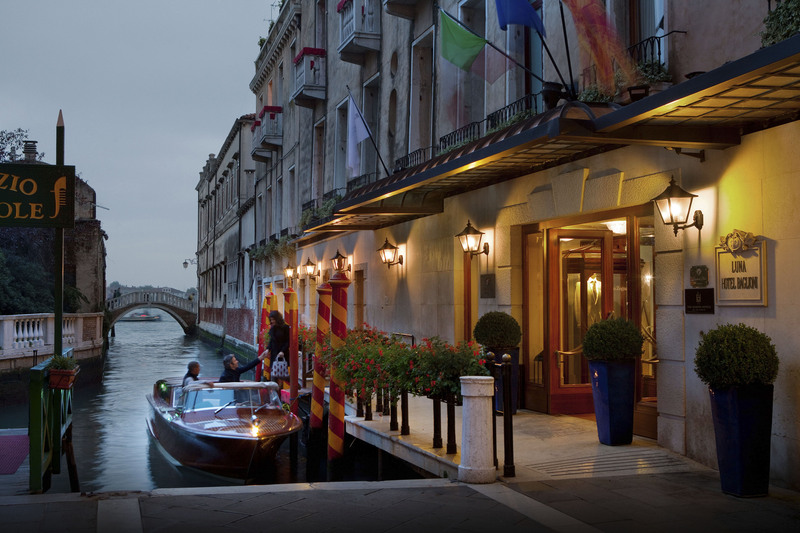 One of them is also a historic palace located in the hearth of Venice, Baglioni Hotel Luna. 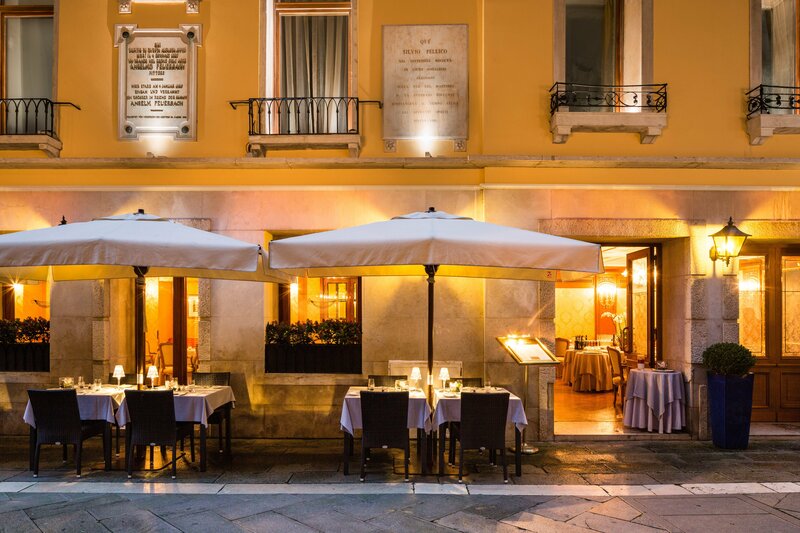 Being the oldest hotel in Venice, the Baglioni hotel Luna can be considered a real hidden gem in the romantic venetian town. 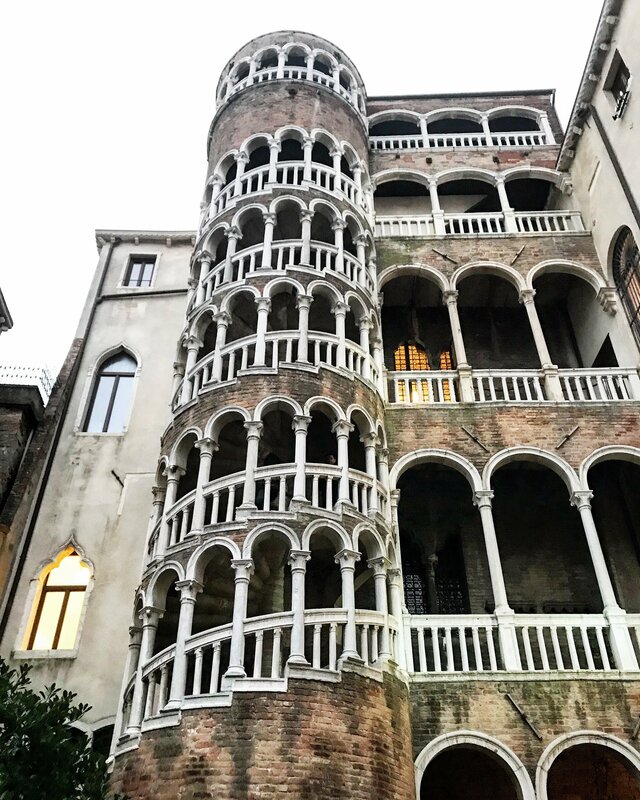 It’s very close to St. Mark’s Square and other historical attraction yet this building is full of history, too. In fact, the structure dates back to the XII century. It has been a convent, then an aristocratic palace and also a shelter for the Knights Templar throughout the years. 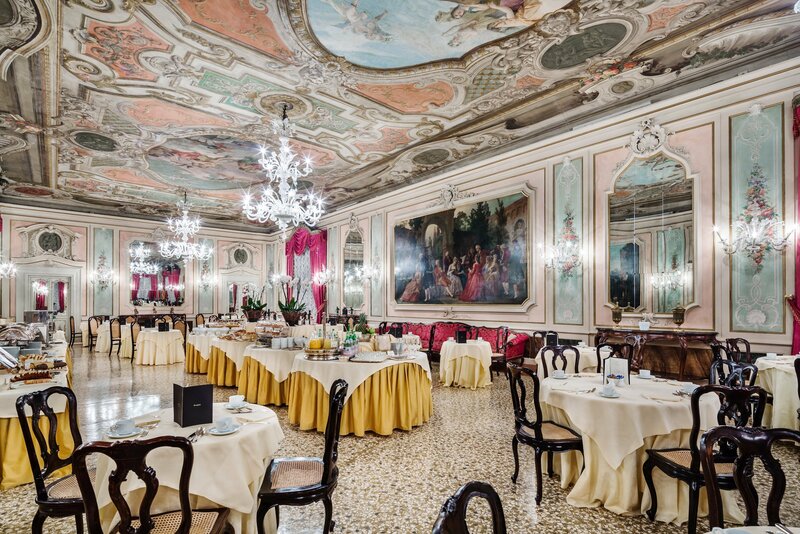 The charming atmosphere of the original Marco Polo ballroom, now transformed into a dining room, is embellished by the frescoes in the ceiling from the School of Tiepolo, a Venetian painter of the 18th century. The Fireplace Room is so romantic and laid-back: it has precious forniture, watercolor paintings, gold fixtures and Murano chandeliers. 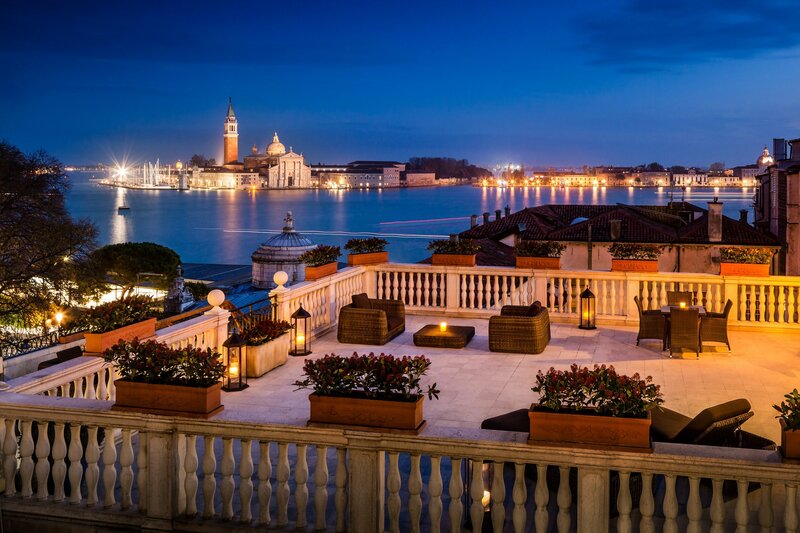 But the private terraces of the suites are the best: the view over the Venetian lagoon, San Marco basin and San Giorgio’s island is breathtaking. 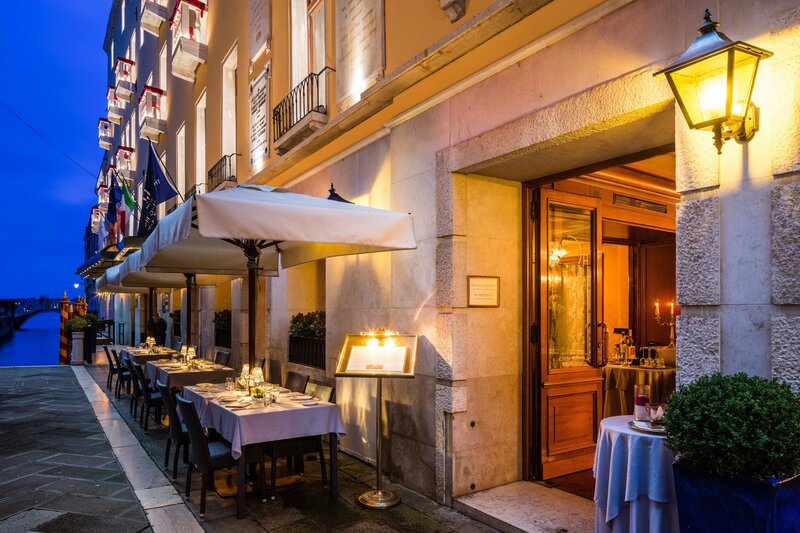 Least but not last, inside Baglioni Hotel Luna there is a culinary pearl: the restaurant Canova, winner of different gastronomic awards, to mention the ones of the Gambero Rosso and the Fogher D’Oro. For the animal lovers like us, here our four-legged friends are welcome. To be underlined, the hotel offers also the opportunity to experience unforgettable Italian experiences, made of food, art and culture. 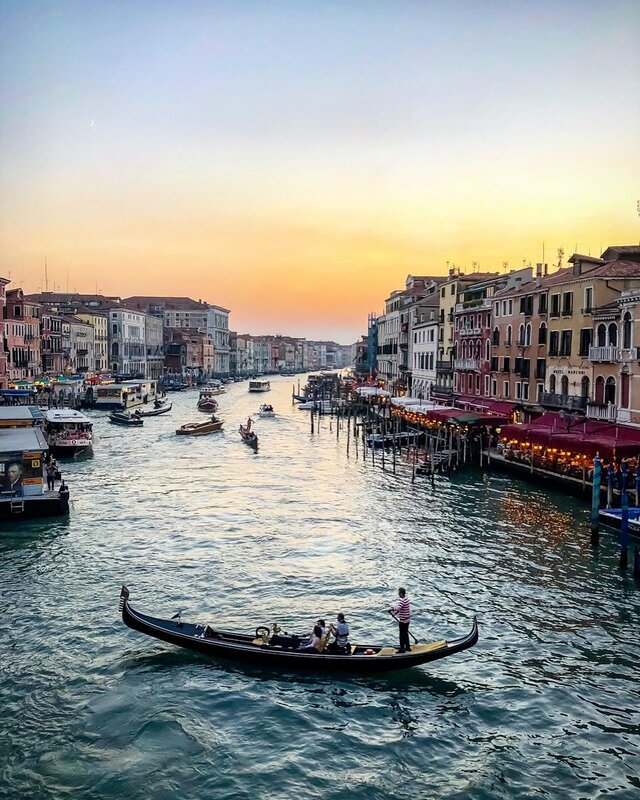 Not only for the holidays, so Christmas’s lunch and dinner and New Year’s Gala, but also the experience of flying over Venice by helicopter, working the glass of Murano with the artisans and creating your own unique piece of art to carry home, sightseeing in a gondola, work lace and much more. These are just a few examples but here you can find all the details. 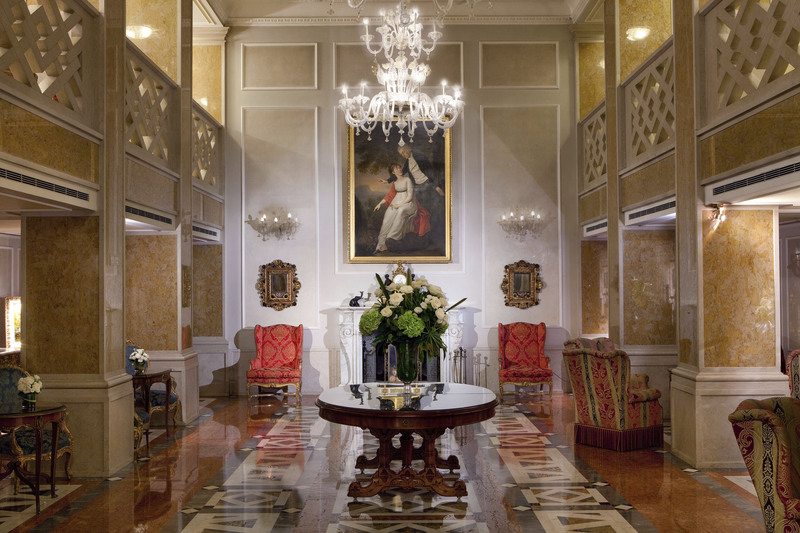 So there’s no time to get tired at the magnificent Baglioni Hotel Luna. 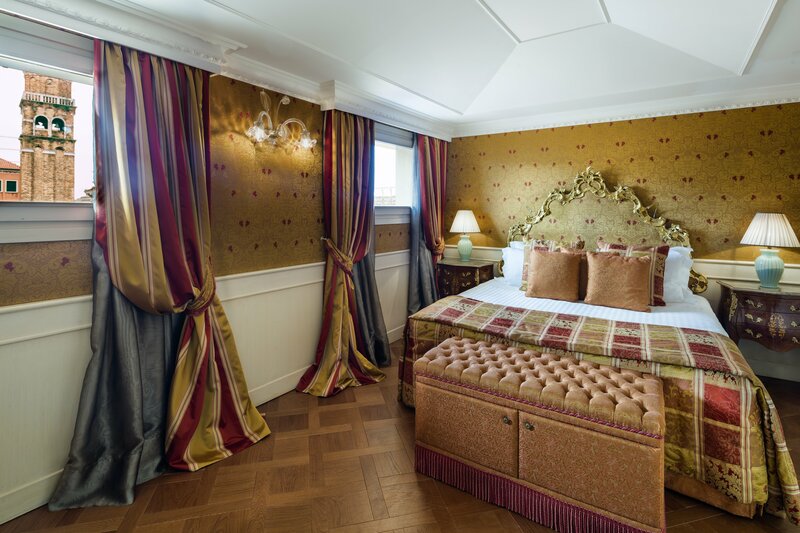 What are you waiting to book your stay? You won’t regret it! Of course there are so many things to see in Venice, all of them interesting for different reasons. Below some highlights. Being one of the four bridges crossing the Grand Canal, it’s very hard to take a photo without people on it. 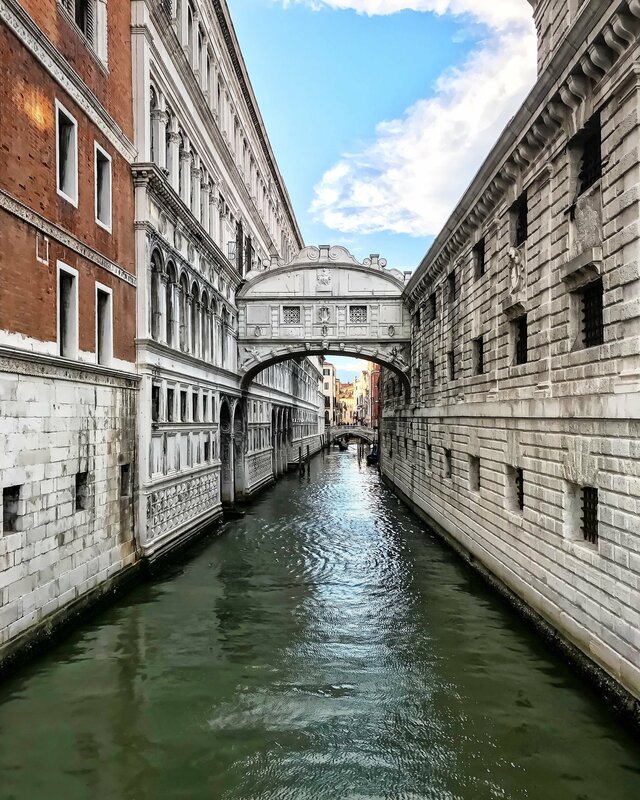 It’s also the oldest and the most famous bridge in Venice. You can shoot it from the prior near the ferry stop, it’s a good angle. This is actually the second famous bridge in Venice. It connects the Doge’s Palace to the prison and was the route the prisoners took to go to their cells. Guess where the name comes from? The prisoners going to their cells sobbed seeing Venice for the last time. 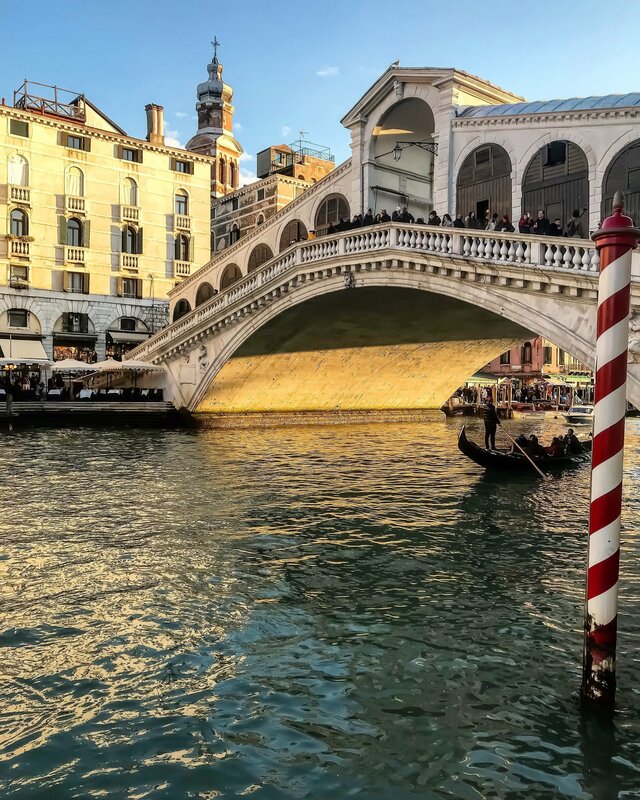 If you stop at the top of the Rialto Bridge, that is a good point for shooting the Gran Canal. Secondly, you can go up to the Terrace of the Fondaco dei Tedeschi: it’s stunning! Strolling around the town you will find lots of pretty canals, each one with its own charme and beauty. You just have to keep walking and getting lost. 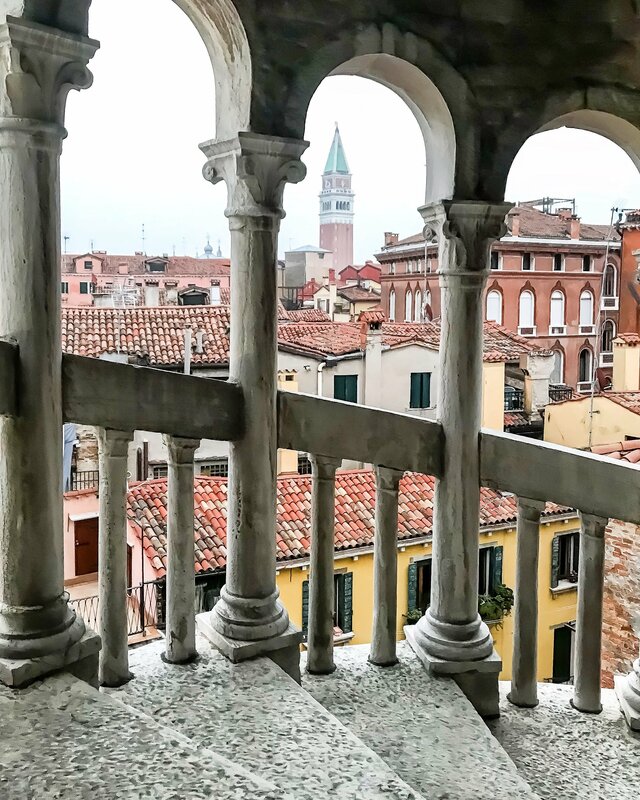 Walking up here, you will find a unique view over Venetian skylines. The staircase is spiral and not so many people know where it is so it’s quite a hidden gem. Basically, this is the center of the tourism in Venice and there are such an interesting architecture all around. 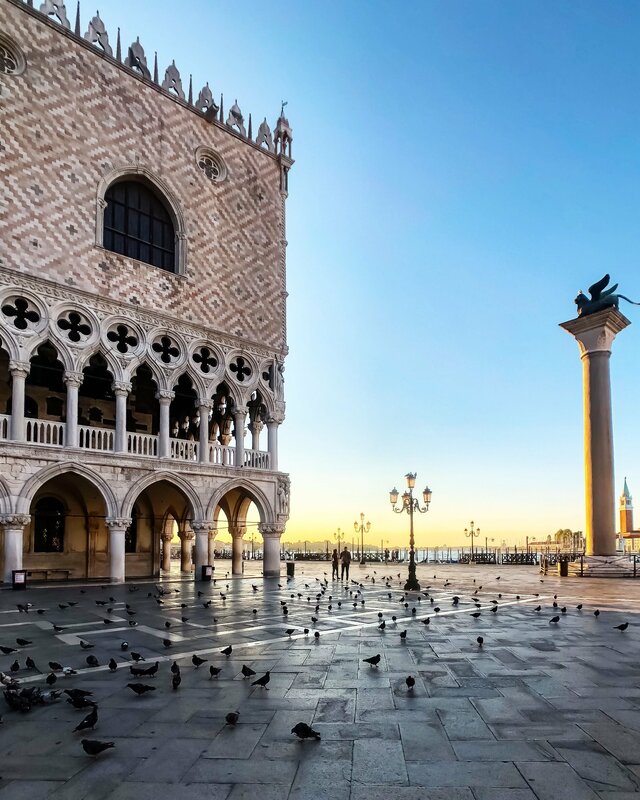 For example, the Basilica and the Doge’s Palace: you can book also a visit there. It’s always crowded but it’s a unique experience. Walking around the Square you can find different point of views, all of them mesmerizing. This is the promenade between St. Mark’s Square and the waterfront. 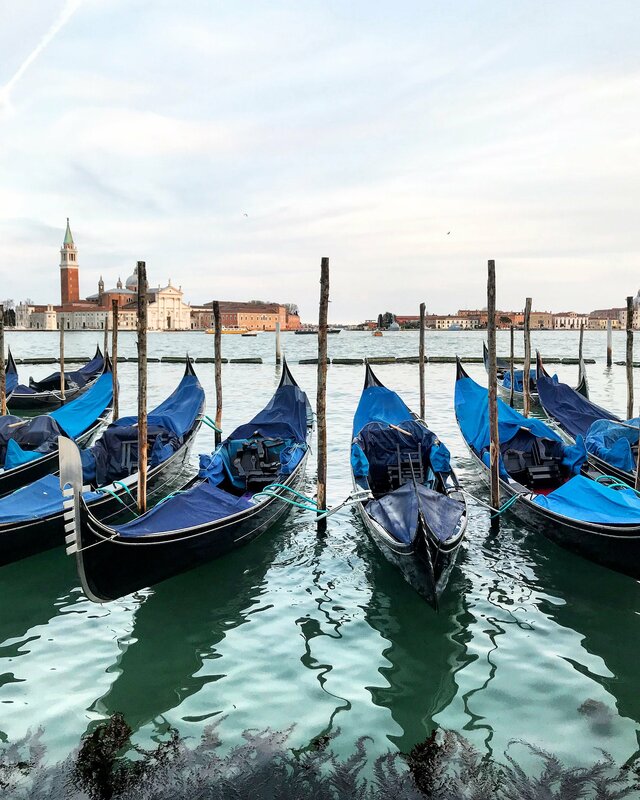 Here you will find lots of gondolas, all lined up so it’s the perfect location for a shot. Furthermore, there are lots of gift and food stalls. 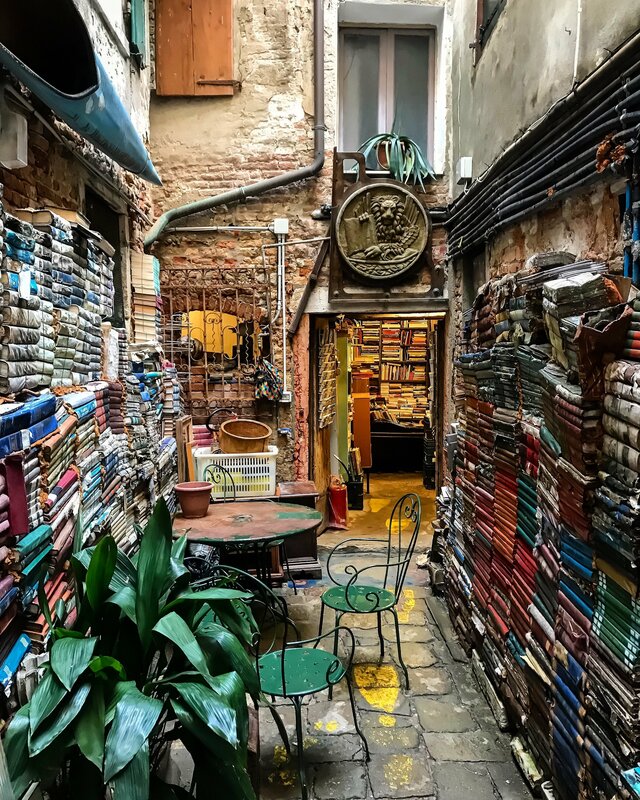 One of the most beautiful bookstores in the World is located in Venice, in a small uncrowded alley near St. Mark’s Square. It’s a piece of art, in my opinion! 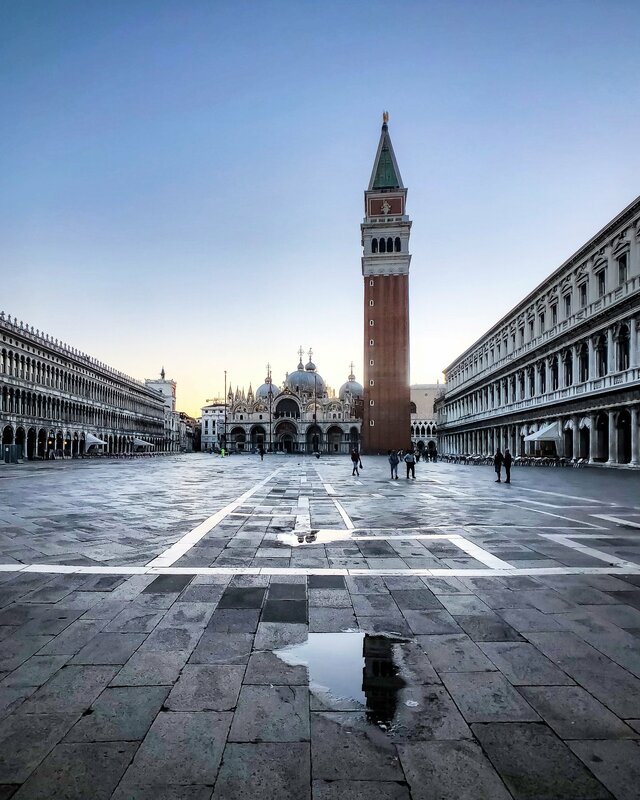 So, are you ready to live an unforgettable experience in Venice? 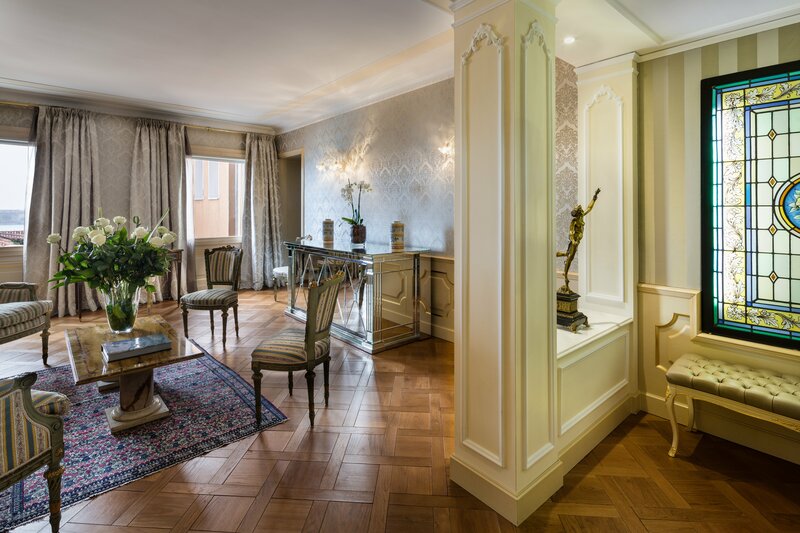 Choose #BaglioniVenice, the best for your trip. And if you are interested in visiting Burano, an island near Venice, take a look at my article here. 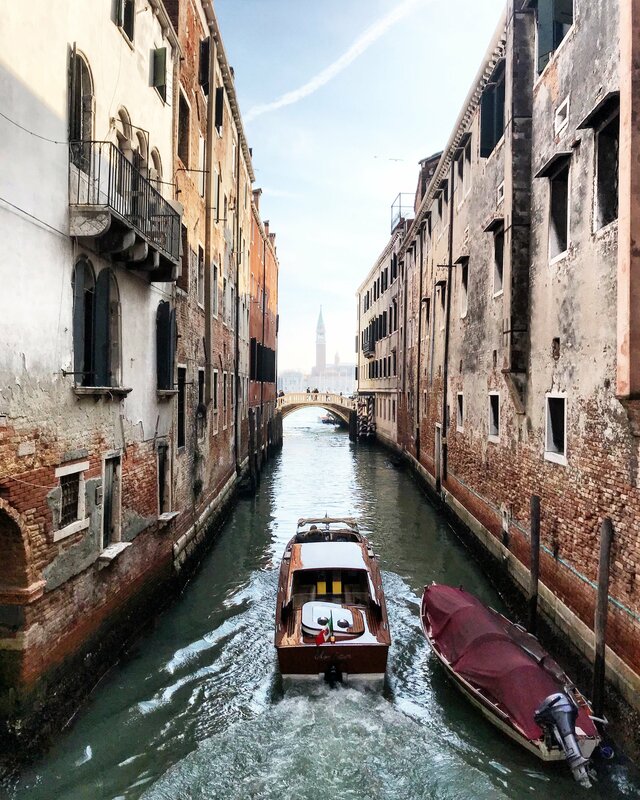 I have been to Venice and I loved everything about it. 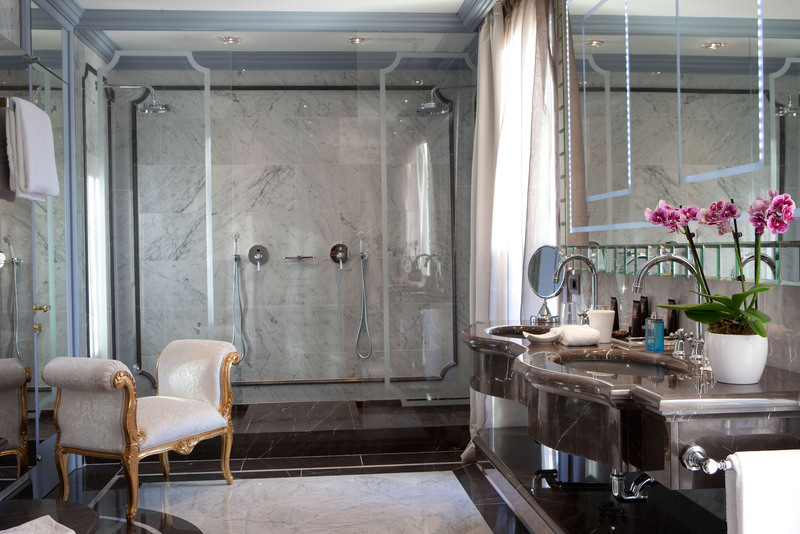 Thank you this in-depth post about this hotel it looks lovely! Wow! 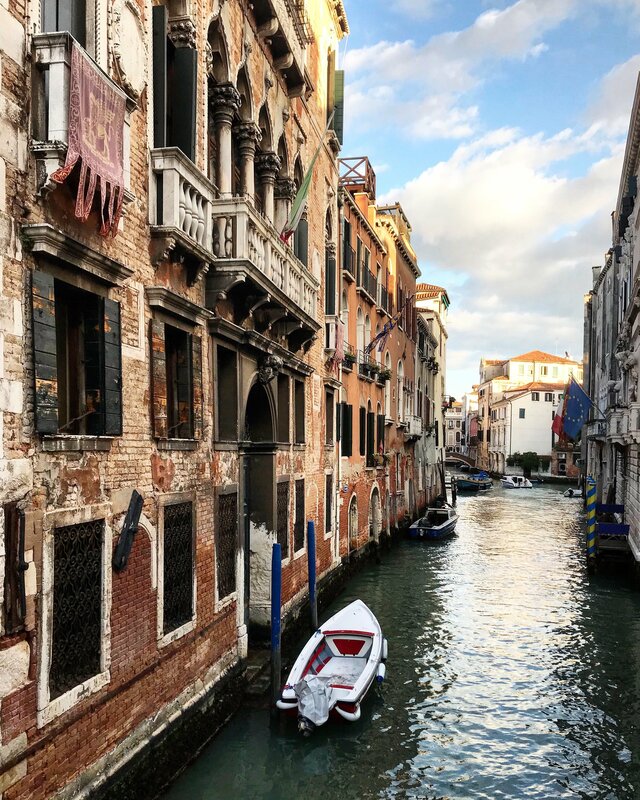 This post has made me want to visit Venice even more than I already did! What a beautiful collection of photos! 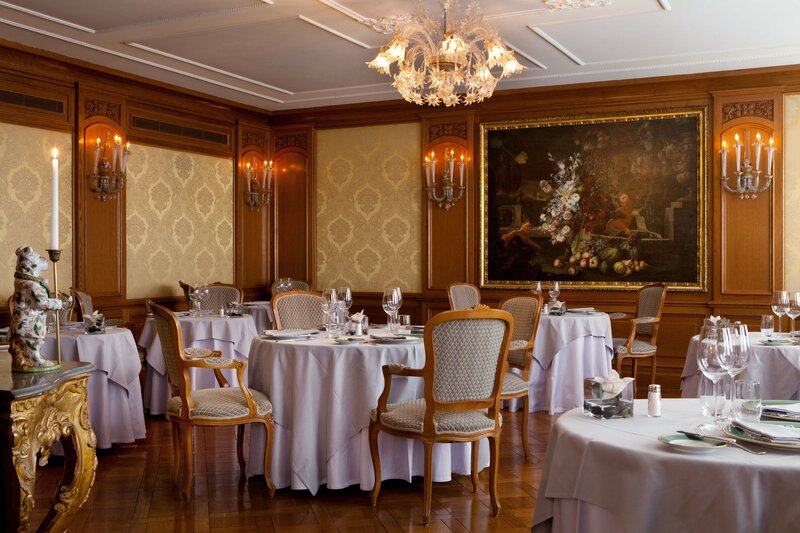 The Marco Polo ballroom looks quintessentially Italian and I love the decor! I have pinned this post for a later date.